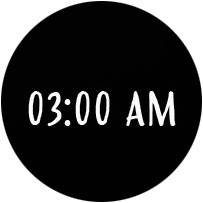 Waking Up at 3 a.m | a collection of stories that I think about at 3 a.m. Waking Up at 3 a.m – a collection of stories that I think about at 3 a.m.
How are you? I don’t know what you’ve been up to recently, but I’d always love to imagine you somewhere being happy with the life that you live, because that’s how I want you to always be. I’m not one to share my feeling and thought to you. You know that, right? And now that a few things have changed between us, it’d be weird if I suddenly reach out to you and tell you things that happened in my life after you’re gone because…it’s not your business anymore. Duh. So from now on, my post will no longer be about you. And as a closure for what had ended between us, let me tell you something that has just begun in my life. A, I met someone. He’s nice, funny, and has the best heart. He has a mysterious way of making me feel safe. Safety; it’s something that I had been searching for so long in a person, and I didn’t find it elsewhere before him. Can you imagine how ecstatic I am to have met him? Well, maybe ecstatic is an understatement. I’m a firm believer that without the feeling of safety, you will never be able to open up and be the true version of yourself in front of your partner. And he, with everything he has, makes me feel safe. That’s a good thing, right? I used to be scared of opening up myself to others. The concept of letting someone see the ugly side of me is really terrifying. Maybe that’s why I always pushed away those who tried to get to know me better. Maybe that’s why I wasn’t that open to anyone about my very personal issue. I was too scared to do all that. But he, he has a strange way to encourage me to show my vulnerability. He has a strange way to make me feel safe enough to feel again. I had a hard time accepting myself but he accepts me in ways I couldn’t even do myself. He loves me in ways I couldn’t even imagine. I started to think that if there’s a person who could love me like that, then why couldn’t I love myself? Now I can finally love myself, even just for a bit. And that’s because he showed me that someone could still love me for who I am, and accept me with my ugly side and dark past. A, I love him. I love him so much. I thought I’ve become disinterested in falling in love and caring for someone. I thought my cold, dysfunctional heart would never be able to love someone again. Apparently, I was wrong. I’m falling in love with him. My love for him is real and I want to keep him in my life for as long as possible. A, if you ever read this, please keep in mind that I’m grateful for everything that once we had. You’ll always be one of my good friends. Now I just want to let you know that I’m so happy with him and I hope you’re always happy too, wherever you are, with whoever she is. It’s been so long since the last time I had a meaningful conversation with my friends, especially the ones I used to be close with. I’m not gonna play victim and act as if they treated me so bad and left me behind. In fact, I’ve been acting distant lately, and perhaps so have they. It’s safe to say that I have no faintest idea of how they’re doing if it’s not with the help of Instagram and Twitter. Social media indeed has strange way of making us feel like we still know each other’s life when in reality we barely do anymore. To begin with, in the past several months I haven’t reached out to some of my friends and haven’t replied to their messages to the point where they might assume I ignored them on purpose. Maybe in a way I did, but not to all of them. Relax. I’m a horrible friend and seriously screwed up. I’m really sorry for that. I’m sorry that things haven’t been so great lately. I might come off as uncaring and selfish. I won’t be surprised if some of them no longer consider me as their friends. I get it. I can’t expect anyone to stick by me when I don’t do my best to keep in touch with them and give them the attention they deserve to get. Friendships are fragile and require active maintenance, or they’ll die. I guess I’ve let it happen more than once. I started to read some articles about how to maintain a friendship so maybe I can still save the remaining friends that I think I still have. Keeping in touch is said to be the fundamental aspect of it, especially when it comes to maintaining a long lasting friendship. It sounds pretty doable though, but I don’t know how to do it. The people I’ve been best friends with until now are the kind of low maintenance friends, and I’m also a low maintenance friend. We don’t always talk to each other every day. We could go months without seeing each other. But we always give the reassurance that we still have each other. As a trash texter with mild depression, it’s hard to imagine what I have to do to keep the friendship alive when the very basic thing like reaching out to friends, responding back to their messages, or making phone calls can feel so overwhelming sometimes. My close friends came from various background with various upbringing. Each of them carries different set of personality. I have friend whom I can do crazy things together, and I have friends whom I can sit for hours doing nothing but enjoying each other’s company while telling about our secrets. As much as they seem to be diametrically oppisosite, they’re very understanding towards my habit. They never call me out for being not fun when I’m not really up to do anything. That’s the kind of friends that I need in my 20s. I’m only two years away from quarter life crisis so I’m constantly trying to avoid the gravity to fall into it while preparing myself for the probability of experiencing it. No wonder I’m always exhausted. Talking to my friends has tremendous benefits for my health and psychological well being, as well as broaden my knowledge and perspective. But the crux of the matter is, what kind of friends? Obviously not the ones who drain my energy, make me feel uncomfortable, guilty, insecure, and remind me of all the things I don’t want to be associated with anymore. Even though I’ve forgotten about why I stopped talking to certain people, not all of it was due to some major or minor problems. Sometimes it just happened. We lost the interest to continue the conversation, we started to reply a little longer than usual and finally we never heard anything from each other until our birthday –if we both happened to know each other’s birthday and remember it. Humans are changing throughout life. The friends you used to do crazy things together apparently have changed and no longer into it. They friends you used to see eye to eye might no longer be on the same page as you about everything, or no longer share the same interest, value, and point of view, which later cause the friendship to be no longer enjoyable. The friends whom you used to stay up late with and talk about everything became person you no longer feel comfortable to spill your guts to. After witnessing the end of my friendship with a few people, I came to realization that not all friendships are meant to last forever, no matter how good it used to be. Sometimes things are better left as mere memories. We aren’t meant to keep every friend we make, sometimes their chapter in your life is done because they only belong to certain version of yourself. Maybe someday they will end up showing up again in another chapters of your life. Jumat sore kemarin akhirnya aku beli kartu baru buat internetan. Terakhir beli mungkin sekitar 6 bulan yang lalu, itu pun terpaksa karena lagi ada kerjaan di daerah yang susah sinyal dan sialnya providerku ga ada sinyal sama sekali. Selama hampir dua tahun belakangan aku pake hotspot tetangga, jadi ga ngerasa perlu-perlu amat buang-buang duit buat beli paket internet. Pokoknya kebutuhan akan internetku udah terpenuhi dari sini. Ber season season serial TV favoritku dan ber album-album band favoritku berhasil nangkring di laptop ini atas jasa hotspot tetangga ini. Mana gretong pula woy!! Asik bet lah pokoknya!! Ya biarpun kehalalannya masih diragukan sih karena aku minta username dan passwordnya dari anak tetangga yang pake internet ini juga ehehe. Pokoknya ini adalah nikmat Tuhan yang patut disyukuri. Sebagai sobat qismin, ini semua sangat membantu dari segi finansial. Sekitar awal Februari kemarin, pas aku ngeposting writing challenge hari ke dua, koneksi internet masih aman-aman aja. Bahkan jam 11 malam aku masih sempet dengerin lagu di Spotify sebelum tidur. Tapi entah kenapa jam 3 pagi aku kebangun terus udah gabisa log in ke hotspot tetangga. Aku pikir lagi error, karena emang kadang sering kayak gitu, tapi palingan ntar siang udah bisa dipake lagi. Yaudah paginya aku paketin internet aja pake pulsa karena emang harus pesen gojek buat berangkat ke kantor. Kalo pulangnya kan emang bisa pake wifi sana. Hari-hari berikutnya internet tetangga tetep gabisa dipake. Akhirnya aku berniat nanya ke anak tetangga yang dulu ngasih username dan password. Dan ternyata dia selama ini juga ga langgangan!! Dia dikasih passwordnya sama penjaga warung yang kerja di penyedia hotspot ini. Wah kacau ini mah. Kaga bisa pake hotspot tetangga lagi –secara haram. Sejak ga ada hotspot tetangga hidupku mulai berubah. Ga ada lagi yang namanya nontonin ulang video review makeup dan skincarenya Suhay Salim. Ga ada lagi yang namanya nontonin drum cover pas lagi bosen. Ga ada lagi nontonin videonya brain craft dan SciShow. Kudu nungguin jam 1 malam buat nontonin itu semua, soalnya cuma kuota malamku yang berlimpah ruah. Sejak saat itu aku jadi boros beli pulsa buat internetan. Ini benar-benar berdampak pada perekonomian keluarga. Keluargaku terancam kelaparan gara-gara duitnya pada dipake buat beli pulsa terus. Dan begonya, sampai detik itu aku masih belom kepikiran buat beli kartu baru dengan kuota yang besar biar ga boros pulsa. Sampai akhirnya, beberapa moment menyebalkan yang terjadi minggu ini bikin aku berpikir ulang tentang semuanya. Moment menyebalkan itu terjadi hari rabu kemarin. Jadi sehari sebelumnya, sekitar selasa sore paket internetku abis. Aku males maketin internet karena pas itu badanku lagi gaenak dan aku pengen istirahat tanpa tergoda internetan. Kalo ada paket pasti jatohnya malah blogwalking kemana-mana. Baru sekitar rabu sore aku maketin internet karena takut ada yang nyariin. PADAHAL MAH GA ADA. Beberapa menit awal hapeku berisik banget sama notif dari whatsapp, line, IG, wordpress, dan email. Pas udah agak tenang akhirnya aku check satu per satu dan ternyata ada email penting tentang program yang pengen aku ikutin yang seharusnya aku baca sejak hari selasa malam. Isinya adalah pemberitahuan interview yang diadain hari rabu siang. Alhasil aku ga dateng, lha emailnya aja baru tak baca menjelang maghrib. Untungnya aku punya kontak whatsapp pengirim email dan tenyata masih dibolehin ikut interview hari kamis jam 9. Hari kamis pagi, ternyata paket internetku abis karena pas hari rabu sore itu aku cuma maketin 200 MB doang dan udah abis buat nontonin IG story orang-orang. Kampret, gapenting banget. Tapi aku juga update story deng, ehe. Yaudah lah ya, paginya aku paketin lagi karena harus pesen gojek. Dengan bodohnya aku maketin internet 2 kali karena first attempt pulsaku belom kepotong kepotong. Ku kira lagi error kan karena sebelumnya sampai jam 7 pagi emang aku gabisa ngecheck pulsa dan maketin internet. Baru jam setengah 8an aku bisa maketin internet. Karena yang pertama gagal, dengan sotoynya aku maketin lagi beberapa menit kemudian. Tiba tiba pas ada pemberitahuan ternyata aku keitung maketin dua kali. Goodbye my friend. Pulsa terakhirku langsung abis, tinggal 500 perak apa ya. Aku ga nyangka moment sesepele maketin internet 2 kali bisa bikin aku sesusah itu dikemudian hari. Malam kamisnya, aku dapet pemberitauan interview hari Jumat jam 9. Ini beda sama interview yang kemaren yak. Yaudah lah aku bales kalo aku bakal datang sesuai waktu yang ditentukan. Paginya aku inget sih kalo paket internetku bakal abis pagi ini jam 7 lebih karena emang masa aktifnya cuma 24 jam. Niatnya bakal beli pulsa abis interview aja, soalnya kadang konter pulsa deket rumah baru buka jam 9an. Toh interview gabutuh hape kan, pikirku. Eeeh pas sampe tempatnya ternyata ada semacam psikotest dulu gitu, ngerjainnya suruh lewat hape aja. Mas nya nyodorin secarik kertas berisi username sama password buat log in ke halaman testnya sambil bilang “internet hapenya bisa kan?”. Berhubung aku lagi ga fokus, aku cuma jawab “iya mas”. Aku nangkepnya secarik kertas itu isinya password buat log in ke wifi mereka. Setelah beberapa detik aku liatin, terus aku baru sadar kalo itu bukan password buat wifi. Terus aku bingung lah ya,soalnya mas masnya udah menghilang entah kemana. Lah, terus gimana ngerjainnya?! Beberapa detik berlalu dengan percuma. Kertasnya kupantengin dengan harapan ada password wifi juga yang tertulis disitu. YA JELAS KAGA ADA LAH. Daripada ga ngerjain akhirnya aku coba ngetok ruangan sebelah, soalnya pas awal datang masnya keluar dari ruangan itu. Eee rejeki anak solehah, alhamdulillah mas nya ada. Abis itu langsung aja aku bilang “mas maaf ternyata hape saya ga ada kuotanya”, untung mas nya dengan baik ngejawab “oh yaudah pake wifi aja”. Alhamdulillah bisa ngerjain testnya, tapi sebelumnya balesin beberapa whatsapp dulu hehehe. Setelah test selesei, akhirnya aku langsung interview. Pokoknya kelar kelar jam setengah 12an. Aku pengen langsung pulang karena emang lagi gaenak badan. Waktu hari selasa kan cuma gaenak badan, nah rabu malamnya itu aku mulai demam, muntah muntah, dan sakit perut. Masih untung hari kamis kemarin bisa nyempetin interview. Intinya di hari jumat itu aku pengen cepet-cepet sampe rumah soalnya takut sakit perut atau muntah di jalan. Sempet kepikiran mau order gojek aja, tapi gopay ku abis dan aku ga bawa uang cash banyak. DAN GA BAWA DOMPET PULA KARENA AKU BAWA TAS YANG BERBEDA DENGAN TAS YANG AKU BAWA WAKTU INTERVIEW HARI KAMIS. Aku juga ga yakin sih di dompetku yang ketinggalan ada duit cash dalam jumlah besar, soalnya kemarin kamis abis interview aku langsung buru buru pulang dan ga mampir ke ATM. Aku sih gapapa ga bawa dompet selama ada kuota internet, pulsa, atau minimal saldo gopay. Soalnya biasanya aku tetep bawa uang pecahan di pouch kecil yang biasa dipake buat naro kembalian. Masalahnya kali ini tiga tiganya abis semua dan duit receh di dalam pouch cuma 20ribu. Yang 1500 ku pakai fotocopy, dan yang 3500 akhirya ku pake bayar trans untuk pulang. Untung halte trans nya deket sama tempat interviewnya, cuma harus jalan gasampe 100 M. Sebelum naik trans, aku sempet kepikiran mau ke alfamart dulu isi pulsa. Tapi harus jalan agak jauh. Ah yaudahlah ntar turun dari trans di Lapangan Kasihan kan ada alfamart dan banyak konter pulsa juga. Di dalem trans aku ngecheckin hape mulu. Sok sibuk abis, biar kayak ada yang ngehubungin, padahal mah liatin meme yang ku panen dari thread twitter orang-orang, sambil sesekali mikir “wah udah mau mulai jumatan nih, nanti agak lama ga ya dapet driver gojek ngga ya?”. Btw, dari halte trans ke rumah jaraknya sekitar 2 KM an jadi emang harus ngegojek dulu. Jalan gapapa sih, jaman SMP aku biasanya jalan kaki rame rame. Tapi sekarang kan aku sendirian, lagi sakit pula. Kalo pingsan siapa yang mau nyeret sampe rumah? Pas udah nyampe di halte tujuan, aku langsung menyadari kalo konter pulsanya tutup. Mampus, lagi pada jumatan apa yak mas mas konternya? Yaudahlah ke alfamart aja. Btw itu posisinya duitku tinggal 15000. Niatnya, yang 6000 mau ku pakai untuk naik gojek. Yang 6500 mau ku pake isi pulsa. Sisanya terserah dah mau buat apaan. Pas lagi muter-muter di dalem alfamart, aku tergoda beli makanan. Kebiasaan emang kudu muter-muter dulu terutama ke bagian per chitatoan dan per parfuman biarpun udah tau kaga bakal beli, orang duitnya ga cukup juga wkwk sedih amat. Masa iya ngutang. Yaudahlah aku beli mie rebus seharga 2200 sama beli pulsa aja. Pas sampe kasir buat bayar mie dan beli pulsa, ternyata kata mas nya “MAAF LAGI GABISA ISI PULSA MBAK”. BUSEETTT GIMANA PULANGNYA WOY. Mie nya tetep ku beli sih, ya masa iya dibalikin, biarpun sebenernya seketika itu juga langsung ga nafsu makan mie. Aku keluar alfamart dengan tampang cemberut. Disekitar bener-bener lagi ga ada konter pulsa men!! Gimana kaga cemberut. Aku udah coba jalan tapi ga nemu nemu konter pulsa. Mungkin kalo aku maksain jalan agak jauh bakal nemu, tapi siang itu cuacanya lagi panas banget dan badanku lagi gak mendukung buat jalan jauh. Yaudahlah aku nyari tempat duduk aja buat sms ayah minta jemput. Akhirnya aku nemu tukang es coklat dan mengikhlaskan uang yang semula untuk beli pulsa dipake untuk beli es coklat. Udah rejeki mba mba es coklatnya kali ya. Jadi setelah beli es coklat itu sisa uangku tinggal 6800. Oke ini buat naik gojek cukup sih, tapi pake apa ordernya???? Hmm. Sambil mikir akhirnya aku nulis sms dulu buat ayah yang isinya “yah pulang dari kampus jam berapa? abis jumatan langsung pulang aja dong, kuota dan pulsaku abis, konter pulsa pada tutup semua, alfamart juga lagi gabisa isi pulsa, gopayku kemarin abis lupa diisi, please ya aku nungguin di es coklat sebrang halte takut keburu pingsan”. Sms nya ga langsung aku kirim sih, soalnya aku masih menimbang-nimbang kira-kira siapa yang bisa ku mintain tolong tanpa nunggu lama. Ayah pasti masih jumatan dan jarak dari kampusnya ke tempat aku nunggu mungkin 30 menitan, yang ada aku keburu pingsan. Siapa tau ada orang yang baik hati disekitar situ yang dihapenya ada aplikasi gojek dan mau dimintain tolong orderin gojek dari hapenya. Atau ada yang berbaik hati mau tetheringin. Kebetulan banget mba mba penjual es coklatnya daritadi mainan hape mulu. Aku samperin aja dan nanya “mba, maaf, ada aplikasi gojek ngga dihapenya?” terus dia bilang “wah gapunya e mba. Kenapa memangnya?”. Untung banget mbaknya nanyain kenapa, jadi aku ada kesempatan untuk ngejelasin kalo aku mau order gojek tapi kuotaku abis dan ga ada konter yang buka. Emang penting sih untuk selalu nanyain “memangnya kenapa?” ketika ada orang nanya sesuatu, kalo gabisa jangan cuma sekedar jawab “engga”. Akhirnya mba ini berbaik hati mau tetheringin hapenya :”) alhamdulillah bisa pulang yeaaaay!!!! Sampe rumah aku langsung bersih-bersih dan masak mie. Karna berhasil sampe rumah dengan selamat, jadinya aku mau makan mie nya ehehe. Untungnya ga lama kemudian ayah dateng, jadi aku bisa langsung nyeritain semuanya dari awal ampe akhir. Ampe keselek pas lagi makan mie gara-gara ketawa mulu. Ayah juga cuma ngakak sambil ngepuk puk kepalaku dan bilang “yaudah nanti sore beli kartu baru aja dek yang kuotanya gede”. Yeay ayahku emang pengertian. Mungkin ini hukuman atas dosa yang kuperbuat selama dua taun belakangan ini, pake hotspot tetangga secara gretongan padahal harusnya langganan. Kenapa kok ga langganan? Hmm ya karena aku dan ayahku sama-sama mager buat bilang ke tetangganya. Gajelas banget emang kita. Semoga ga ada lagi rentetan kejadian menyebalkan kayak gini dikemudian hari. It’s very possible to not entirely understand someone even after being together for a long period of time. One day you can read them like a book, next day you start questioning yourself why on earth did you even want to deal with this confusing human being in the first place. Understanding someone does take time, but time alone can’t be used as the only tool to measure how deep you understand someone. To some extent, indeed time can help you develop the sense of conformity and familiarity with that person, which sometimes can feel the same as understanding them. But to me, people are like bottomless pit, and no matter how long you’ve been with them there might always be something about them that you can’t quite fathom. I’m a difficult person to understand. One day you could feel how much I care about you and the next day you’d start questioning what you possibly did wrong to me that made me push you away out of the blue. I’m unpredictable and unexpected. I’m not good at expressing my emotion, sometimes I doubt that I even possess it. My fears are somewhat irrational. My feelings for someone tend to change easily, no matter how strong they may appear to be. Sometimes I couldn’t get you off my mind. Sometimes I’m not sure if I ever really like you in the first place. Small things can completely change my mind about something. But hey, feelings are fleeting, they come and go, right? Right? It’s okay if you don’t feel the certain amount of love for someone like you did yesterday. It’s okay if the things that your partner did caused a momentary hesitation, making you wonder whether you should just end things right away or just stay. But you, you managed to understand me. At least I think so. We don’t speak the same language about almost everything but you still managed to understand me. At least that’s what I love to believe. I know you’re also a difficult person to understand. You’re a combination of perfectionist and idealist. You want things to work in a certain way. You keep seeking for better options, even when you already had me. Sometimes you came off as ungrateful. One day you said you’re scared of losing me, and the next day you acted as if you never cared about me at all. You hated me for being emotionless but you’re mad at me for showing a bit of jealousy. You made things went awry. You reminded me that feelings are fleeting. But most importantly, you stayed. Thank you for that. You stayed for a quite long period of time in my life, for whatever reason. I’m bad at keeping relationship, but you stayed. It’s a good thing. It’s a good thing even though it eventually had to come to an end. I don’t regret it. You enriched my journey with your presence. You made me feel loved. I loved you. You’re one of those special people who shaped me into the person that I am today. And I do hope that I also leave a possitive impact in your life, no matter how tiny and insignificant it might seem. Maybe we both can hardly feel the love that once we shared. But the memories we made can’t be easily erased. It doesn’t really matter whether the feeling is still there or has entirely vanished. All that matters is that I still want the best things for you. I want you to always be happy and healthy, to be successful in your passions, to achieve what you want to achieve, and to live the life you always dream of. Those are my wishes for you on your birthday. Hey, happy birthday. Today you’re 24. Time flies so fast. It’s been 4 years since the first time I said happy birthday to you. I know we never really celebrated our birthdays since it has never been our tradition to do that. You said you didn’t care about it. Me neither. No, not about you or your birthday, but the birthday celebration itself. I, however, still care about you, or I wouldn’t find it necessary to write this down for you. Final exam for 12th grade student is just around the corner. I can’t help but recollecting as much as memories of what I experienced in my last year of high school. Six years ago, I was a confused 12th grade student, not having any idea of what major that I’d choose in college. I used to say that I’d choose english literature just because english was one of the subjects that I was kind of doing good at, besides math. I hadn’t done enough research to get to know more of all majors available in my alma mater so my judgement was solely based on what subject that I was doing good at, not on what major that I was interested to learn more or to pursue a career in it. So I decided to gather as much as information of what major that my alma mater offered and discussed it with my dad. Long story short, I chose to study animal science. When I thought my confusion was already cleared, some people came up with questions like “what are you going to do with that?” or worse, “why didn’t you chose a more popular major?”. I didn’t even bother to think of the answer though, but I knew what they meant when they asked me that. I mean, I’m not stupid enough to read between the lines. Is there anyone here who happened to experience the same thing, or am I just a little too sensitive? When people knew that I studied in UGM, they’re like “wow that’s great!” but when they asked my major, they’re not as excited as they were before. It seems like there’s a general consensus that certain subjects at university are more respectable and often associated with smart students, and will yield a high salary upon graduation, which pretty much shows that a large portion of people who frequently asked me are much too focused on money and prestige. Well, it’s totally okay if high salary become your main factor in choosing your college major, I mean, in the end we try to earn money with our degree. But it’s never okay to look down upon other people’s major just because it’s less popular or not as prestigious as your major. Choosing a college major is not about choosing which one is more prestigious than the other. It’s about choosing what you have interest in and have a chance to develop yourself in it. Studying in college is not always about increasing knowledge. It’s also about sharpening your logical thinking. Being a student of animal science, sometimes I can easily feel how some people look down upon my major because they think it’s not a difficult subject, or even why it really matters, and assuming that all I do is just raising cattle and feeding them. Well people always assume about everything the same way they assume that art and design students is just about painting nice picture or selling their paintings. But you know, that’s just one of many, many options. Like animal science, it’s not just about raising cattle and producing beef and milk. The source of fat and protein that we eat on daily basis are pretty much the products of animal science. Where do you think all the milk, eggs, cheese, steak, corned beef, sausage that you consume on your daily life come from? I believe that every major has its own challenge and is equally important. That’s pretty insulting when people just look down upon other majors without really knowing about what others are learning. But unfortunately academic snobbery will always exist. Those who are quick to judge a subject that they have little to no understanding is a reflection of their own ignorance and close-mindedness. Choosing a college major can be overwhelming especially when we’re already sold on the idea that the rest of our adult life is determined on that choice, but actually it’s not a life sentence. In fact, many graduates find jobs that have nothing to do with what they studied in college. You don’t only gain knowledge in college since you also developed your personal skill. In the end, why would you look down upon people’s degree or jobs when we’re all essensially just working to fulfill our needs and to pay our bills? How long have you been blogging? – I’ve been blogging on and off since high school, switching from one account to another, trying various platforms from blogspot to tumblr, and now to wordpress. But my current blog is my first blog that I take care quite seriously and it has been a year and three months, which is quite an accomplishment for me since my previous blogs only lasted for less than six months. What do you spend waaaay too much money on? – Foods (especially spicy chicken wings!! ), makeups, and skincare. But mostly chicken wings because I’m hungry all the time and I eat like a horse. What is a fun fact about you? – It might sound stupid but I’m having difficulty in remembering routes and places. I wouldn’t be surprised if I couldn’t find my way back to the main road after going to my friend’s place –if it’s not located in the main road, even if I’ve visited it for more than three times. I can get a perfect GPA but I can’t be trusted to help you reach somewhere, unless you don’t mind to get lost with me. It can be pretty embarrassing sometimes. If anyone here have any tips for me please let me know. Where is a place you escape to? – Beach! Since my home is only 50 minutes away from the nearest beach. Do you like your name? Why or why not? – Yes, I do. Very much. Despite the fact that million of people named Nadya as well. In Russian, it means hope. My friends believe that it has something to do with my bad habit that is giving false hope to some guys. And also, I love the definition of my name that I found on urbandictionary! As you get older, what are you becoming more and more afraid of? – Sinking into oblivion and leading a rootless existence. Do you have a favorite sports team? – Ummm no, I don’t. I don’t really like sports either. You wake up suddenly in the night. What sound would be the scariest to hear after you realize you are awake? – The sound of dog’s late night barking. Many dog owners said that dogs could sense the supernatural so it’s kind of scared to imagine what kind of creature that it saw. But again, dogs will start barking at things that they find unusual so it doesn’t always mean there is a ghost or something. But I’m still scared, though. How long have you been blogging and what has kept you going until now? Do you honestly read every post that you like? Do you want to be famous? Why or why not? I’m so sorry if any of you have been nominated before. Please let me know once you’ve answered my questions so I can check them out. I’ve always been interested to send letters since I was a kid. The curiousity grew from seeing rubik sabahat pena (penpals) on Bobo, a kid’s magazine that my mother bought for me. But I had to wait until I was in junior high school to actually start sending letters. I don’t know about you but finding a new letter on the mailbox is like a nice little surprise for me. Nothing beats the thrill of opening the mailbox and finding a letter, written and addressed just for me. I still remember when my dad’s friend sent a postcard from LA and I was so excited to read it and removed the stamp. I used to collect it, even though I wasn’t really a philately. To me, it’s quite saddening that years after that, letters carried by conventional postal service seemed to be left behind and replaced with modern technology like e-mail. Even nowadays, the post office staffs seem to find it weird every time I want to buy a stamp for my postcard, let alone seeing a fully decorated envelope that I use to send a letter to my penpal. Two years ago when I was hit by depression, I stayed away from some of my friends in real life and chose to engross myself in any activity –whatever that didn’t have anything to do with talking to my friends in real life– to keep my mind off the pain. So I started writing this blog, decorating my DIY planner, and writing letters and postcards again. Writing letters was and always will be very special to me for it always evokes pleasant feelings. And receiving a letter, especially a handwritten one, never fails to make me feel special in a way that I cannot explain. There’s something so personal and thoughtful about them. I mean, writing a letter takes time and shows effort that the sender makes in order to send them. What’s not to love about that? Where are these splendid treasures in the 21st century? To find a penpal, I usually use penpalsnow and interpals. Or sometimes I just type “penpals” on Twitter’s explore tab to find much if not some tweets about people looking for penpals. I got a new penpal from Turkey by doing that trick. And for sending postcards, I signed myself up on postcrossing. If you haven’t heard it, postcrossing is a postcard exchange project that invites everyone to send and receive postcards from random places in the world. Real postcards with stamps on it! The idea is simple: for each postcard you send, you will receive one back from a random postcrosser from somewhere in the world. If this little information already sold you, the next thing you should do is to check out their website and sign yourself up. I’ve been a proud member of that community since January 2016. And I’ve received postcards from various countries, even from faraway countries whose name I’ve never heard before. To me, the fun part of postcrossing is we don’t know who will send a postcard to us, so again it’s like a nice little surprise every time you find out that the postcard you’re reading apparently have travelled thousand miles away before it finally arrived at your mailbox. Last Christmas I received a lovely postcard from Belarus, which is 6,097 miles away from Indonesia. I never travelled that far in my life. Actually, I never really travelled to anywhere in my life. But through these letters and postcards, I can “meet” people whom I might not have the chance to meet in real life. I can meet someone with the same interest as me. I’m so grateful for every letters and postcards that I received for it has helped me to feel happy again. It’s so uplifting to support another and getting supported in return.